The £5 Estee Lauder Doublewear Foundation Dupe? Usually I'm less spontaneous when publishing blog posts. I like to have everything shot, written, organised and scheduled so that I can keep on top of my university work alongside. 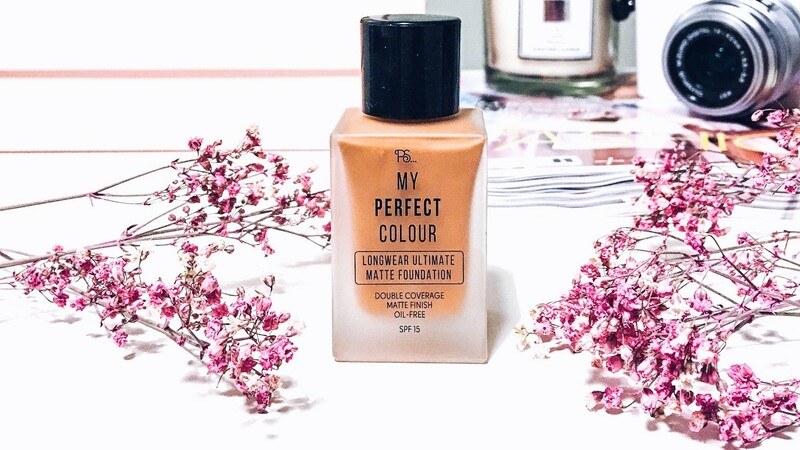 However, after watching Holly Boon's video on the Primark Longwear Ultimate Matte foundation yesterday, I knew I had to head to my local store and put it to the test myself. Yesterday was a pretty hectic day; I had a deadline at 3:30pm and so I wasn't able to head to Primark until around 4:30pm. Thankfully, they had my shade in stock - which is somewhat of a rare occurrence for a bargain foundation. I walk into Boots or Superdrug and 99% of the time I'm blinded by light skin shades and tones. Talking of shades, the spectrum is limited, very limited. I picked up the shade Caramel which was the second to darkest shade. I class myself as a medium to dark skin shade with a yellow undertone. Although the foundation matches me, I fear that my fellow dark skinned gals won't be able to enjoy these benefits. The darkest shade was comparable to that of: Estee Lauder Doublewear shade 'Nutmeg'/MAC Studio Fix Fluid shade 'NW55'/Illamasqua Skin Base shade '16'. Admittedly, these shades do all sit on the darker end of the scale, however, there is no graduation in the shade range at Primark. The majority of the shades are very pale to tanned and there are three or four (at a push) token dark shades thrown in there. I did notice that the other foundations seemed to range to darker shades and had more inclusive 'in-between' shades. Perhaps they'll bring out more shades in the future? Let's hope so! 3. To claim that the product is hydrating - obviously if you put water onto your skin, a fraction of it will be immediately absorbed into the outer layers of your skin, giving you a temporary glowy and plump look. Emphasis on temporary. Real, deep-penetrating hydration products contain vitamins and acids (vitamin C, vitamin E, hyaluronic acid in particular). So, what are the ingredients and how do they differ in the Lauder and Primark foundations? Well, I've created this handy table of the primary ingredients which make up over 97% of both foundations (remember these are in order of most - least in terms of how much of each ingredient makes up the product. As you can see, the primary components of the two foundations are pretty much identical. I've done some further research and found that the ingredient variants that Primark use are significantly cheaper to source, yet just as effective. Primark are also cruelty-free and whilst Estee Lauder as a brand do not test on animals (they test on epi-skin and other skin-mimicking technology) and use cruelty-free ingredients, they do sell in China. Which means that through a third degree, their products are tested on animals before they hit the shelves in China. I was unable to find confirmed sources which state that Primark make-up is vegan; however, looking at the ingredients in this product, none are derived from animal products. We all know (and if you don't know, have you been hidden under a rock for the past 5 years?!) that Estee Lauder Doublewear is probably the most full coverage foundation with the best finish on the market, ever. I know people with all different skin types who adore the foundation. Also, I used to work on an Estee Lauder counter, meaning I'm very familiar with the foundation and how it applied to different skin. I've applied it to oily skin, dry skin, acne prone skin, scarred skin - you name it! The only skin type I would say it didn't work for (in my personal opinion) was aged skin. I found that the mattifying formula sat in fine lines and wrinkles and exaggerated them further. On older clients, I would always use the Estee Lauder Revitalizing Supreme Anti-Ageing CC Cream (this has skincare built in and provides a light, more youthful finish). To say that a product could compare to the doublewear is a bold statement. The coverage of the Primark foundation is pretty damn similar. I can tell that the product separated a little bit, especially over my t-zone where I tend to get excess oils. This is nothing that can't be fixed with applying a primer (I didn't apply a primer, just to test how it would last on the skin with no added products) and powder. I would personally use Illamasqua Hydra Veil to prime and NYX Stay Matte But Not Flat powder loosely dusted over my t-zone. The consistency of the Primark foundation is substantially thicker than that of the doublewear, which is more watery and thin. The doublwear absorbs into my sponge a lot quicker, due to it's consistency, so I apply it with either a Zoeva flat foundation brush or a damp Real Techniques sponge. I also applied the Primark foundation with a damp sponge; I did notice that I used less product with this foundation. Just a little side note, in a bottle of doublewear, you get 30ml of product, whereas, in a bottle of the Primark foundation, you get 32ml of product. I applied Estee Lauder doublewear to one side of my face (the side without my nose ring), these are the results. I applies Primark Longwear to the other side of my face (the side with my nose ring), these are the results. Overall, I would say that the Primark alternative is fantastic if you're on a budget or want to make your make-up collection exclusively cruelty-free. I will be using my Estee Lauder Doublewear up (to save wastage); if my Primark foundation continues to perform, I may just make the switch when I need to repurchase a full coverage foundation. That's all for today! Will you be swapping out your doublewear for the Primark dupe? Have you tried the Primark dupe? Let me know what you think, and as always, if you have any questions feel free to ask away and I'll get back to you all.